Subtle changes in middle age may cause you to joke that you’re getting old. But some changes may be early signs of Parkinson’s disease—no laughing matter. Shaking caused by tremors and an increasingly rigid body are two early signs of Parkinson's disease. Some of the early signs of Parkinson’s disease (PD) are subtle, and they often come and go at first. 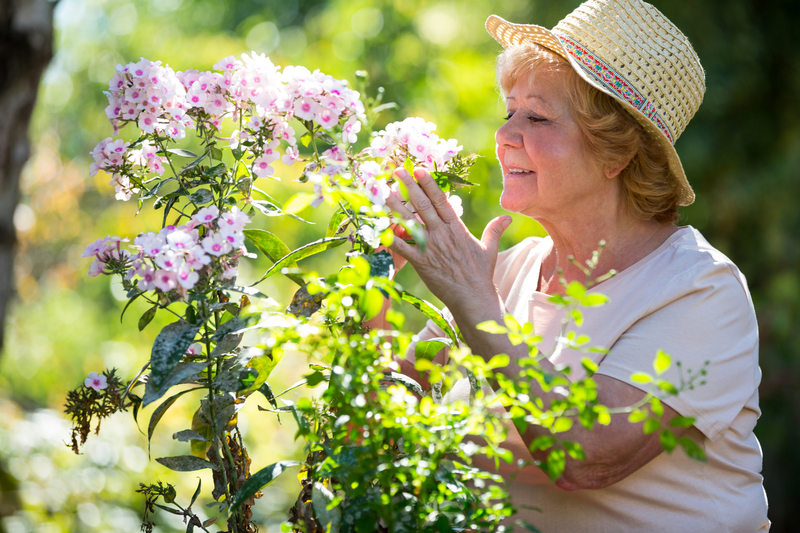 Smell is one of the most universally common early signs of Parkinsons’s disease. You might notice that the cat’s litter box isn’t as overwhelming as it once was or the turkey baking in the oven doesn’t fill the house with a great aroma. The loss of smell, however, is significant as one of the early signs of Parkinson’s disease. Researchers at the Max Planck Research Unit for Neurogenetics in Frankfurt and the University of Auckland in New Zealand have found that the distribution and total volume of glomeruli—functional units in the olfactory bulb—are altered in patients with PD. What can be done with this knowledge will require further research, but it’s an important finding, as it confirms loss of smell as one of the early signs of Parkinson’s disease. Is a diminishing sense of smell one of the early signs of Parkinson’s disease? In addition, researchers at the University of Michigan are working on a “scratch-and-sniff test” that may identify individuals developing PD 10 years earlier than we can now. Many people also experience a gradually softening voice, speaking at a lower tone without being aware or purposeful about it. While this might seem part of aging, it’s not. It is, though, one of the early signs of Parkinson’s disease. Has your spouse or friend accused you of always looking depressed or angry, even when you’re not? Unfortunately, “facial masking”—which is the rigidity of facial muscles—is another of the early signs of Parkinson’s disease. Like the other early signs of Parkinson’s disease, this hardening of the facial muscles may seem to come and go. 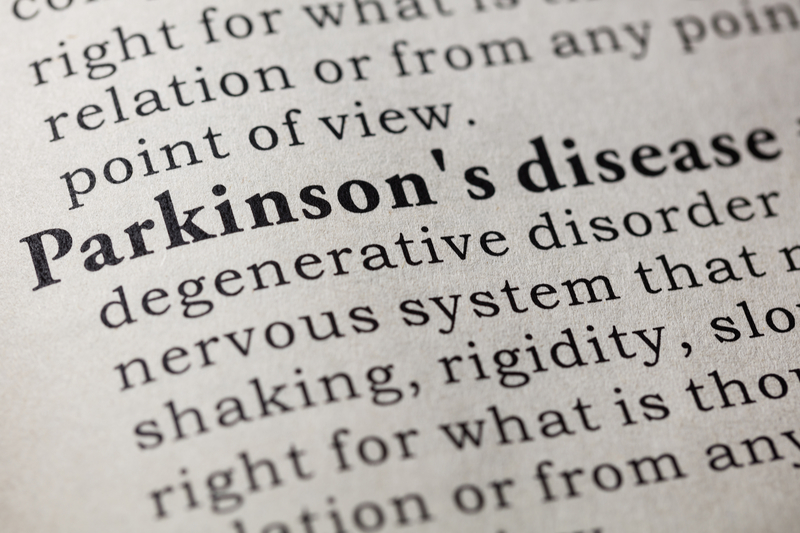 Still more early signs of Parkinson’s disease include the following conditions. Tremors: The most classic of the early signs of Parkinson’s disease is the tremor that’s associated with the disease. However, the patient or the patient’s family may notice it after some of the other signs have started. Tremors are usually found in the limbs, commonly in the hand or fingers, and it’s noticeable at rest. 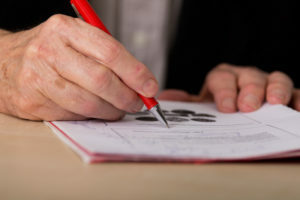 Important to note: A Parkinson’s tremor easily can be confused with an essential tremor (also called a familial tremor, idiopathic tremor, or benign tremor). 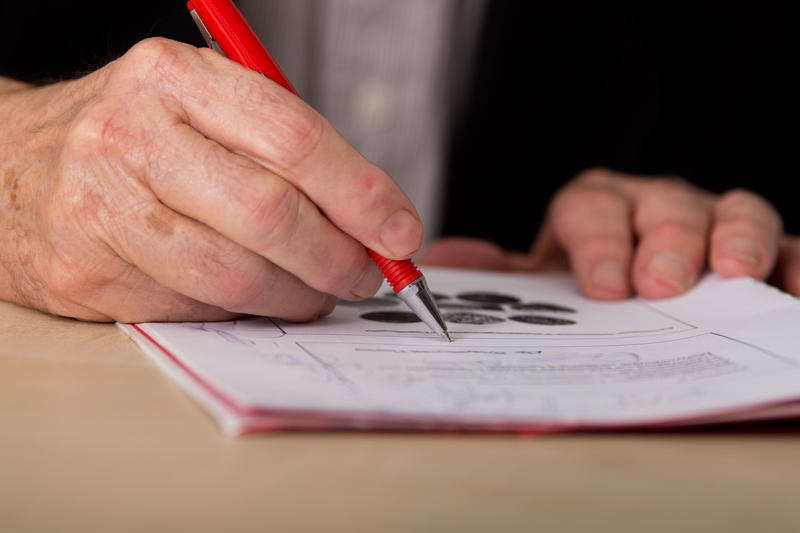 An essential tremor is usually noticed when the patient is doing something. It’s often seen in the head or in the hand when he or she is writing. An essential tremor is normally not an illness, although there’s debate as to whether it could lead to PD. Impaired movement: Patients with Parkinson’s tend to move more slowly than normal. In advanced cases, it can feel like the feet get stuck in place. As one of the early signs of Parkinson’s disease, you might notice that your arms don’t swing freely as you walk. Your gait may gradually become more shuffling. You may notice smaller handwriting, such as your normally broad, sweeping writing style now looks small and cramped. Personality changes: A depressed mood is one of the early signs of Parkinson’s disease. Many people become more anxious and fearful. They often seem withdrawn. 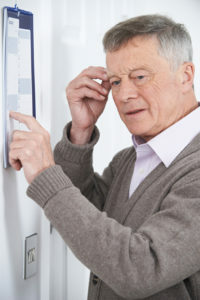 Dementia: Early signs of Parkinson’s disease overlap signs of oncoming dementia, which include frequent confusion, unusual forgetfulness, increased confusion in the evening, an inability to find the right word (or the frequent use of inappropriate words), disorientation, or a tendency to make up stories. Posture and balance: Early signs of Parkinson’s disease often include a gradually stooping posture. The person may seem off balance when he or she walks or moves, taking some odd steps. Constipation: Due to PD’s slowing effect on the nervous system, early signs of Parkinson’s disease can include constipation (with bowel movements occurring only a few times a week) and/or straining to have a bowel movement. The bladder can also become less functional, although nighttime incontinence is associated with PD. Excessive sweating: The NWPF also stated that uncontrollable, excessive sweating can be one of the early signs of Parkinson’s disease. If you’re concerned about the early signs of Parkinson’s disease, chances are you’re wondering what causes this disease. Unfortunately, a number of likely causes have been identified but not proven. And, it seems you cannot prevent PD. Genetics: According to the U.S. National Library of Medicine, about 15 percent of Parkinson’s patients have a family history of the disease. Scientists have isolated five genes that can develop mutations that result in PD. Gender: Men are twice as likely as women to develop PD, states the Parkinson’s Disease Education Council, and the onset is generally two years earlier. Lifestyle: Not surprisingly, head trauma can be a factor in developing PD, as can exposure to pesticides and herbicides. Farmers tend to have a higher incidence of Parkinson’s disease. If you’re concerned that you’re experiencing early signs of Parkinson’s disease, you should make an appointment with your primary care doctor. Your doctor will refer you to a neurologist if he or she believes the symptoms you’re showing are truly early signs of Parkinson’s disease or another neurological problem. Advancements in the treatment of the disease are occurring at lightning-fast speed, and doctors agree that the sooner treatment is started, the better. If you’re reading this, chances are someone close to you is battling Parkinson’s disease, and the thought of experiencing this disease yourself may scare you. It worries me. I’ve watched PD gradually destroy my mother, erasing her personality and taking away her independence. Watching her spirit fade away made me research the early signs of Parkinson’s disease. It’s not comforting to know that no one actually dies from PD. They die from complications, like falling or developing pneumonia or other infection, such as from unattended bed sores or a urinary-tract infection. Otherwise, if a patient is well-cared for, she simply loses more brain power and suffers an increasingly rigid body. PD is a neurodegenerative disease that causes a progressive loss of motor function, often with uncontrolled tremors. It is caused by the brain not producing enough dopamine, which is the compound in the body that acts as a neurotramsitter, talking to the body’s nerves to direct movement. PD is normally accompanied by dementia, sometimes Lewy body dementia, an even worse form of dementia. “An Essay on the Shaking Palsy” in 1817. He isolated the symptoms of PD, although he wrongly believed it was due to lesions in the spine. Sixty years later, French neurologist Jean-Martin Charcot made the landmark discoveries about the disease and its rigidity and named it Parkinson’s disease. PD is the second most common neurological disease, behind Alzheimer’s disease. Both are types of dementia, which is broadly defined as an increasing loss of brain powers. aging, alzheimer, Bed sores, bowel movement, bowel movements, brain, brain power, constipation, dementia, dementia early signs, depressed, dopamine, early signs of parkinson s disease, exercise, Forgetfulness, health, health news, Incontinence, infection, insomnia 2, lewy body dementia, loss of smell, mood, muscle, myoclonus, neck pain, neurodegenerative disease, pain, parkinson s disease, personality, pesticides, pneumonia, posture, sleep, sleep disorders, sleep myoclonus, twitching while sleeping, types of dementia, university health news. Around age 60 I noticed that my handwriting was getting smaller and I was writing faster. I also noticed a small tremor in my right hand. The doctor went over my different symptoms and he suspected I’d either had a small stroke or the beginnings of Parkinson ‘s disease. After finding a neurologist and some testing I was diagnosed with the beginning stages of Parkinson’s disease. That was 4 years ago. I take Sinimet four times a day to control my symptoms, which include falling, imbalance, gait problems, swallowing difficulties, and slurring of speech,December 2017 our family doctor started me on Green House Herbal Clinic Parkinson’s Disease Herbal mixture, 5 weeks into treatment I improved dramatically. . I am strong again and able to go about daily activities.‌ This Herbal Formula is Incredible!! I am a 49 years old woman with early stage of PD. I would like to know what is your Herbal Formula.